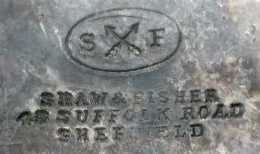 Active at 52 Pond St,(1863-1867) and at Standard Works, 173 Pond St, Sheffield (1876-1929). 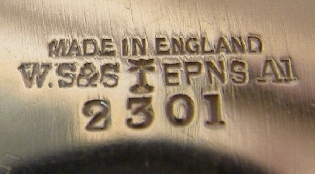 From 1900 the firm acted only as dealer. 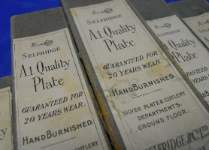 A retailer shop active in Oxford Street, London. 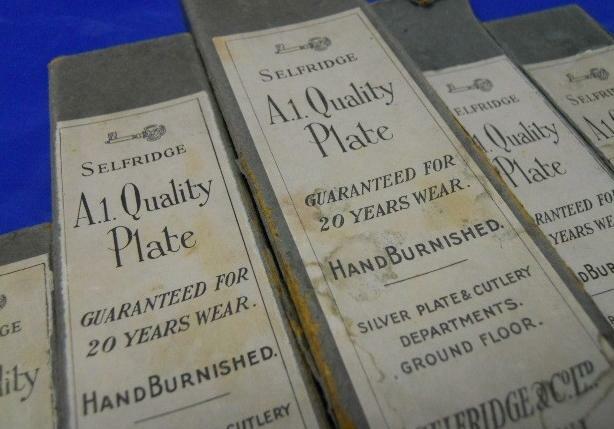 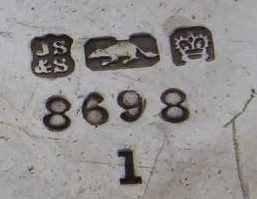 Founded in 1871, the Selig Sonnenthal company were originally known as M. Selig Junior & Co. and based at Lambeth Hill, Queen Victoria Street, London. 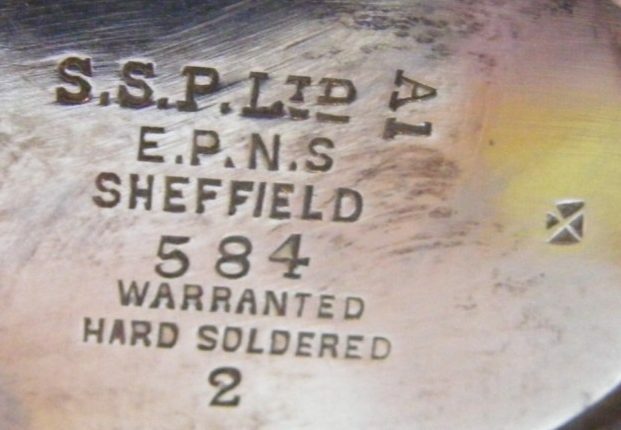 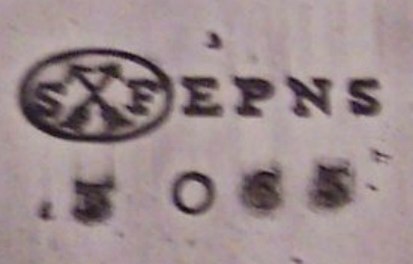 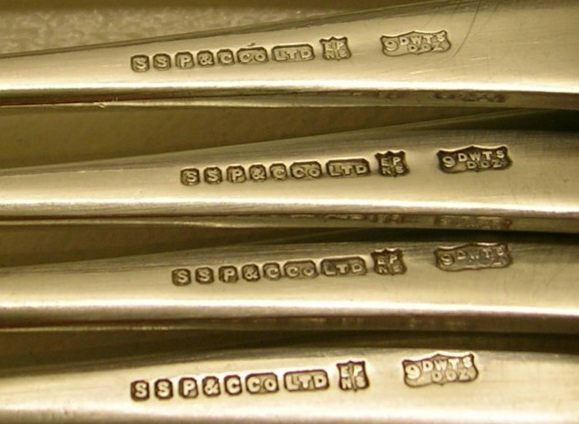 As well as being manufacturers with a factory in Coventry, they were also very successful agents (various maker's and branding badges are found on their machine tools), importers and one of the leading retailers of engineering and associated products. 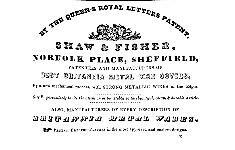 James Shaw & Fisher were active at Norfolk Place and Killham Works 39-43 Suffolk Rd, Sheffield (1835-1894) starting electroplating c. 1849. 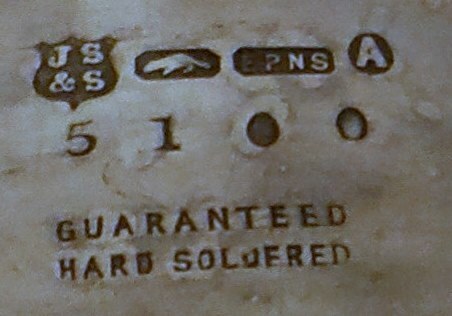 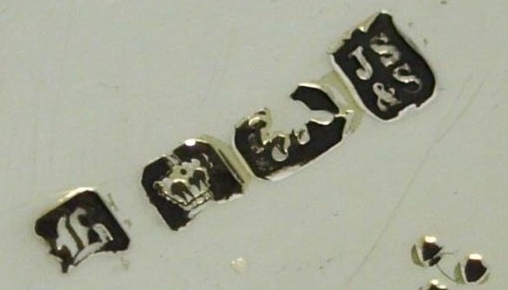 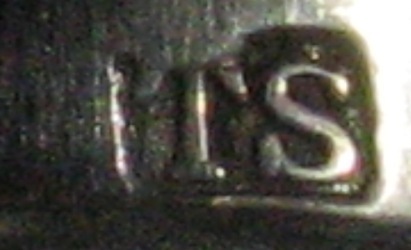 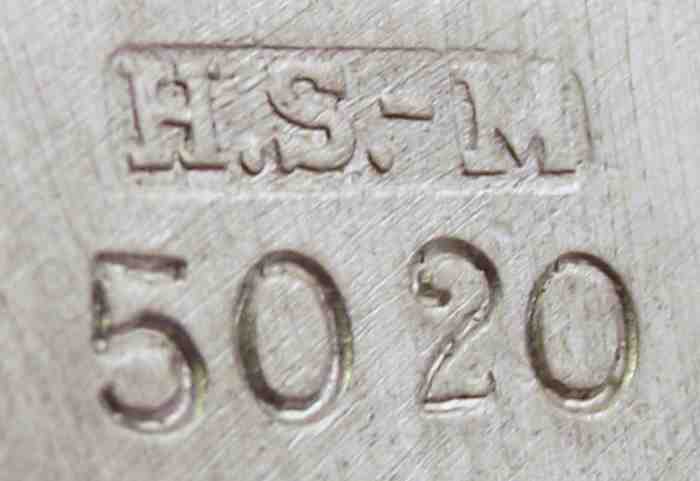 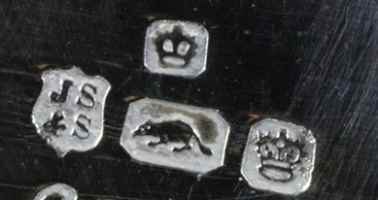 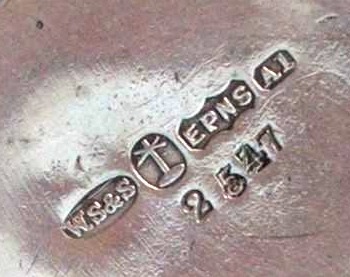 The firm used the trade mark BRISBANE SILVER. 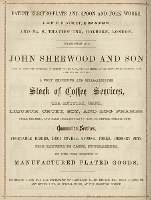 Succeeded by James Deakin & Sons Ltd. 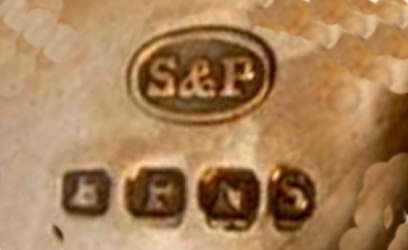 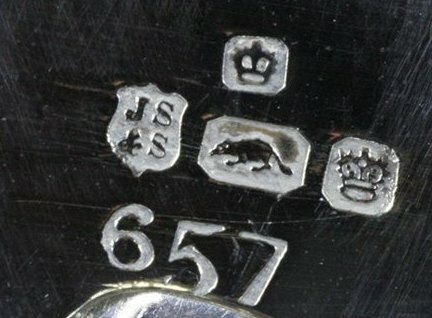 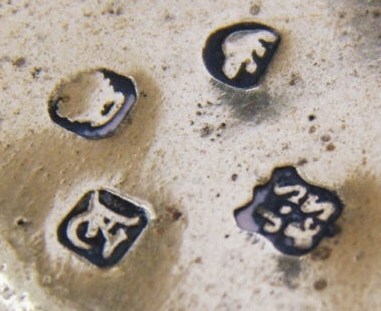 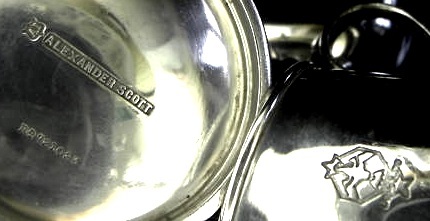 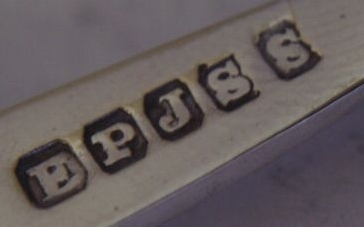 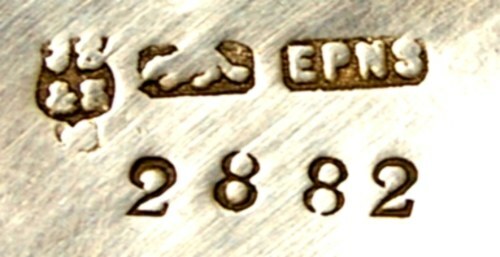 The firm used the trademark BRISBANE SILVER. 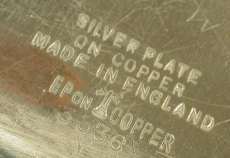 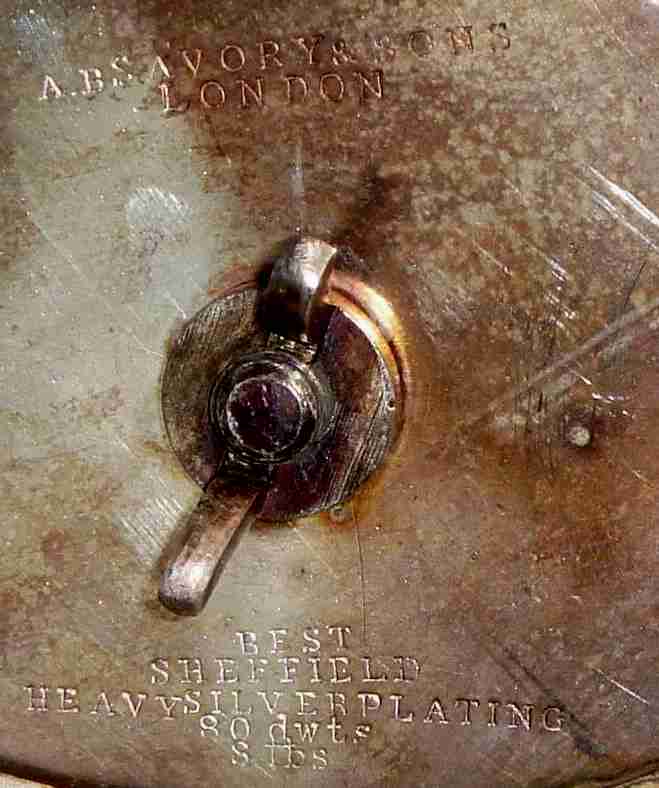 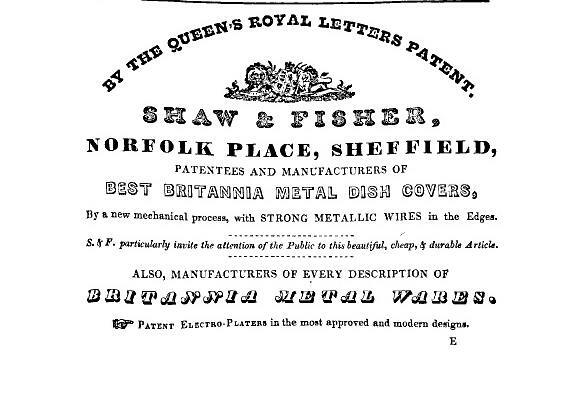 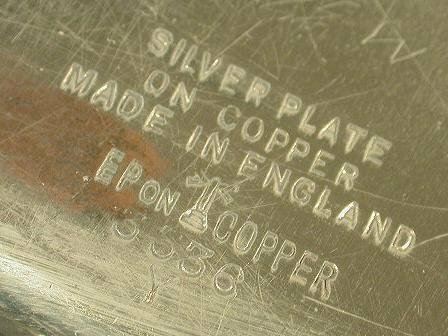 John Sherwood & Sons of Birmingfham, represented in London by their agents Hall & Russel at 185 Upper Thames Street and Queenhite advertised in 1869 as manufacturers of silver and electroplated goods of every description. 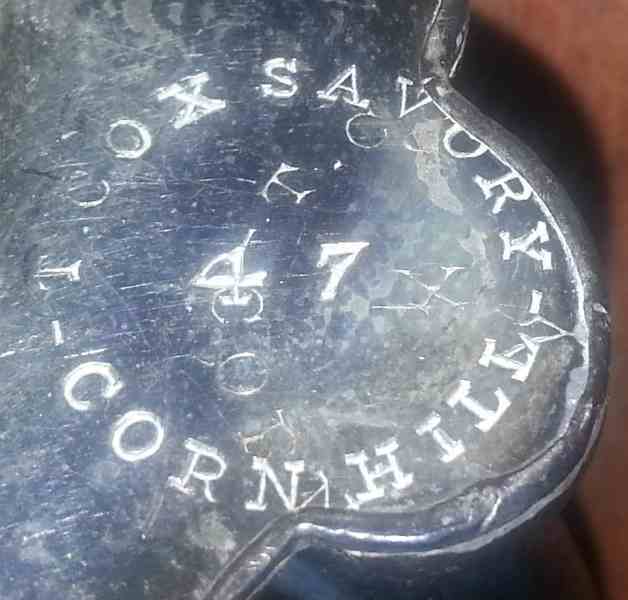 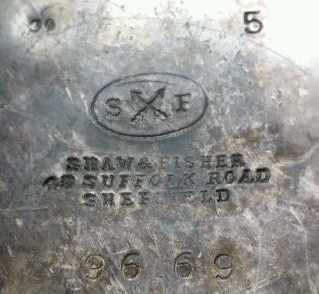 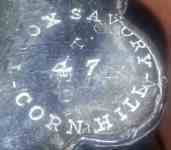 George Sherrif Sherwood and William Sherwood, trading as John Sherwood & Sons, spoon and fork manufacturers etc. 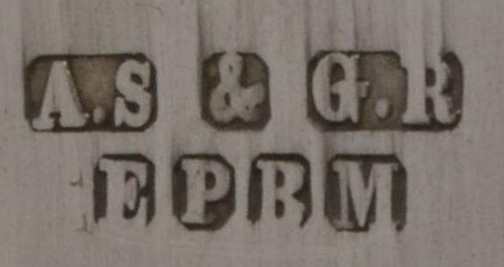 of Litchfield Street, Birmingham, dissolved their partnership on 18th October 1879. 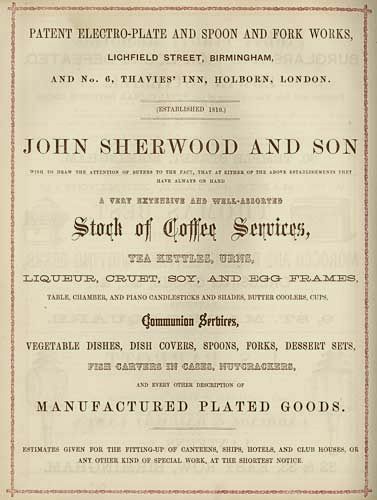 J.Sherwood & Sons are subsequently recorded with William Sherwood, who retired on 31st December 1899, as a partner, together with Wilfred Sherwood (1899-1909) and George Sherwood (1901-1909), at Regent Works, Regent Street, Birmingham and 31 Ely Place, Holborn. 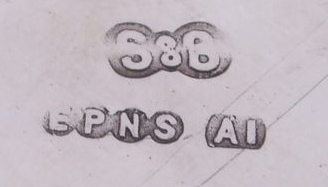 Active at Rockingham St, Sheffield (1882-1886). 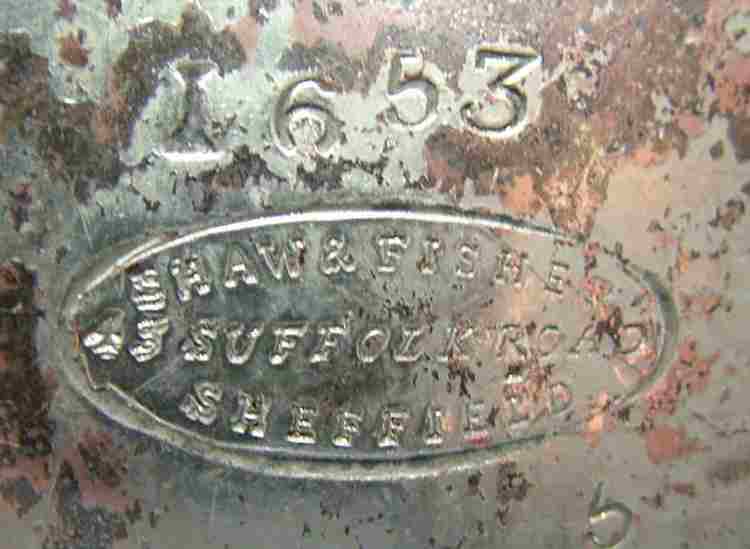 Succeeded to William R. Shirtcliffe (1872-1881) and became Ltd in 1921.